I want to thank you for electing me to the SAB. As a relative newcomer to UCSC staff having accepted an IT position in the Chancellors/EVC’s office in Jan 2000, I still have watched a tremendous amount of change happen on campus. Part of the change was the centralization of IT, which moved my job to the position of IT-LIT working for BAS. As someone that has had to partake with positional change due to campus restructuring, I can commiserate with what a lot of staff members are dealing with. Most of the change of course, has been driven by financial reasons, making for difficult decisions for all. I strongly believe that the SAB voice has been able to provide administration with valuable input, as choices are made. As a father of 4 daughters that are either immersed in the California college system or graduated, I also have a parents point of view also, as we sign the checks…. A lover of all things outside from the beach to high mountains meadows, hiking, and most sports. An unexpected well cooked meal somewhere unknown, and road-trips with the quirky habit of taking photos in old spooky historical graveyards. And oh yea, Go Giants! As a graduate of UC Santa Cruz, I personally witnessed the hard work and dedication that goes into delivering our students a first class education. As the campus Fleet Manager for the past 3 years, I know the pride we all feel in being able to provide our students the same tranquil environment, conducive to learning that many of us UC grads enjoyed. I strongly believe we can maintain this atmosphere for students, even in the midst of these trying times, and ensure that the staff experience continues to improve. My concerns are your concerns. Salary has been largely stagnant for many of us, while workloads have increased. Represented staff have seen wage increases to compensate them for rising benefits contributions and we have not. Now more than ever, we need fellow staff members to advocate for us on these issues. I look forward to representing you on the Staff Advisory Board so that dialogue on these issues will continue and our voices may continue to be heard. I was a student at UCSC From 2003 - 2007 and a student employee at OPERS during all 4 years, working for event staff, athletics, and the East Field House Facility Center. I was then hired by OPERS as the interim Facility Center Supervisor where I supervised the Center student staff. In April 2008, I was hired in my current job as a Conference Coordinator and Student Supervisor at UCSC Conference Services. Working for Conference Services, I have the pleasure of working with a variety of different departments all across campus. I have gained valuable experience from this interaction with our diverse campus population of faculty, staff and administrators. Over the past 7 years, I have been directly affected by the ever-changing world of the UC system, both as a student, student employee and as career staff. Especially now, in this time of budget cuts and changing campus environment, I am happy to serve on The SAB and give a fresh and energetic outlook to things, from the many perspectives that my experience has exposed me to. I have always been very passionate about my work and the departments I have worked in for at UCSC. In my second year on the board I am very excited to serve and continue to contribute to make this a better environment for our staff members, which in return makes this a better University for our students. I am a Cowell college 2001 alum. I majored in History with a minor in Legal Studies. I have been a UCSC employee since October 2001. I have worked in the Social Sciences Division, the Physical & Biological Sciences Division, Planning and Budget and the Office of Research. I am now the Education Department Manager. I became involved with the SAB when I volunteered to be on the Staff Advocacy Committee. I am a past chair (2013-14) of SAB and I had the honor to serve as a UCSC delegate to the UC Council of Staff Assemblies for 2013-14 and 2014-15. I feel strongly about creating and maintaining a supportive healthy work environment for all UCSC employees. I look forward to the challenges each new year brings with excitement and for the opportunity to serve as your advocate. In her current role as Associate Director for College Student Life, Julie oversees Housing and Residential Education for both Crown and Merrill Colleges, serving approximately 1600 residents. Prior to coming to UCSC Julie worked in a number of educational institutions, including teaching in China and in South Korea. In her spare time, she enjoys being an auntie, spending time by the ocean, and volunteering with hospice patients and the hospice grief support program. During her service on the Staff Advisory Board which began in 2013, Julie has worked with other board members to advocate for staff regarding wage/cost of living increases, maintenance of employee wellness programs, improvements to campus safety, workload burden concerns, and the retention/improvement of staff benefits. She finds it a privilege to be an informed member of the campus community and to serve staff through the SAB. Though not an alum, I quickly felt at home here at UCSC, and I hope to serve the SAB and campus community by helping to create a feeling of home for others! I joined campus in the fall of 2013 as a member of CHES, then moved to University Extension Silicon Valley in January of 2018. I develop curricula in a number of departments, and work to deliver skills to the residents of Silicon Valley and beyond. Off campus, I perform frequently in community theater, bake, read as much as my time allows, and relentlessly cheer on the Detroit Red Wings. I hope my time with the SAB affords me the opportunity to help our campus move forward in a challenging world. Our work as an institution, educating the citizens of our nation and the world, plays a crucial role in shaping a future we can be proud to leave for the next generation. SAB provides valuable support to ensuring our staff can continue this important work, and I am pleased to contribute what I can. I am committed to encouraging and participating in conversations around personal development, social justice, and leadership with all members of our community. Very excited and grateful for the opportunity to serve on the Staff Advisory Board. I have worked at UCSC for around five years. Before joining the Real Estate Office, I worked in Business Contracts. I am a mother of two very energetic young boys. I have a background in law, mediation, negotiation and conflict resolution. My family is from rural coal mining country near West Virginia. I was the first in my family to graduate from a four-year institution after high school. I can personally attest to the life-altering impact higher education can have and truly believe in the University's research and teaching mission. Staff serve such a critical role in support of this mission. I look forward to learning more about how I can make a positive contribution to support the needs and interests of staff across all areas of campus. 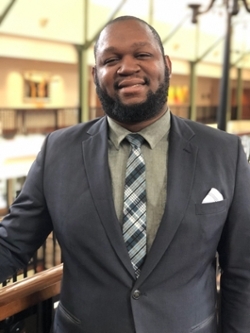 I'm the African/Black/Caribbean (ABC) Retention Specialist and my job is to provide academic advising and counseling while also creating retention and support programs to benefit ABC and other underrepresented student populations. This is the beginning of my 3rd year here at UC Santa Cruz. I am a native Californian and a product of the UC system, born and raised in Los Angeles and a double alum of UC Riverside. I spent some time working at the University of Hawai 'i but left one side of the Pacific for another. My role and goal in life is to work toward building institutional equity and educational opportunity for people from historically marginalized groups. Social Justice is a process and a goal. We have work to do and I look forward to what we can do to support staff here on campus here within the Staff Advisory Board. Feel free to reach out if you want to chat! I am proudly 100% Slug, and looking forward to serve campus as part of the Staff Advisory Board! I am a graduate of Stevenson College, and have worked in a number of departments across campus since I came to Santa Cruz. As a strong believer in and advocate for the UCSC Principles of Community, I am looking forward to working together with the rest of the SAB to ensure that these principles are upheld by and for the entire UCSC community. In my spare time, I like to knit and watch TV (often at the same time), and I volunteer with the Santa Cruz County Animal Shelter, helping adorable cats and kittens find their fur-ever homes. I enjoy removing or overcoming obstacles. I do this in my work, by helping SHR find better ways of serving our campus. 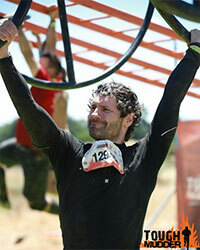 I do this in my play, by leading teams of UCSC folk through the Tough Mudder obstacle courses (Go Sluggernauts!). I do this in my volunteering, by moderating Open Dialogues on Religion for staff and students, through my service on the University Interfaith Council. In all these efforts, my goal is the same: to help individuals and groups work through what is inhibiting them from a full experience of well-being and stepping further into their potential. I've joined the SAB to engage that same helpfulness in serving our campus community. So, if you see an obstacle that the SAB can help the campus work through, and you're willing to step further into your potential to get it done, then let me know so I can bring it to the group to see what we can all accomplish together. 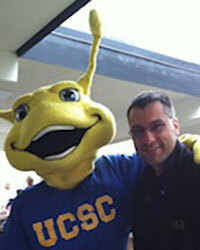 I am a Merrill College Banana Slug graduated in 1999. At UCSC, I work with transfer students and represent the admissions office. I'd like to bring your voice and concerns to the administration and make a difference with the hope to change a few things that affect staff and campus community. 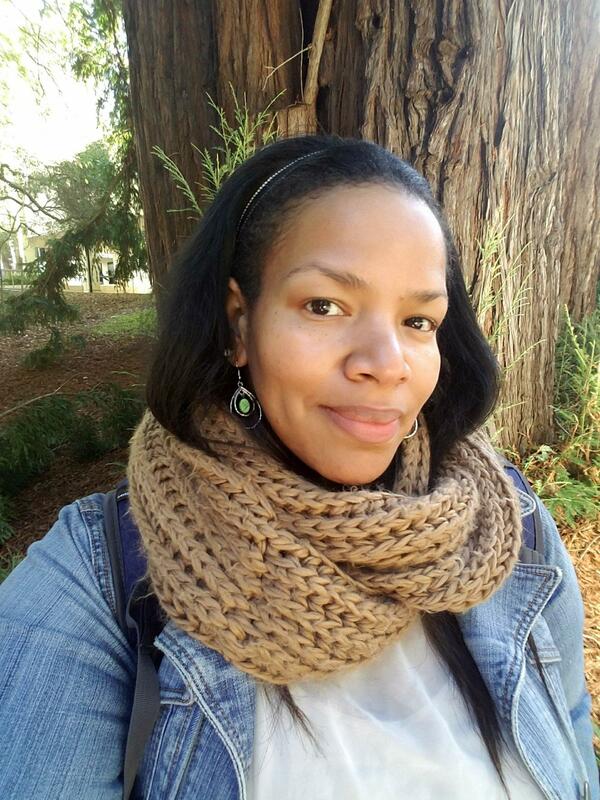 Judith Estrada (Ph.D., University of Illinois, Urbana-Champaign) is the director of the Chicanx Latinx Resource Center at the University of California, Santa Cruz. She is an Oooooakes graduate. She is kindly referred to as Dr. J by her students and colleagues. Estrada has served on the UCSC-HSI’s team since 2013. She is the chair, of NASPA’s Indigenous People’s Knowledge Community (IPKC) which is comprised of Indigenous and non-Indigenous people who seek to increase understanding, and institutional commitment toward, Indigenous peoples in higher education. Estrada publishes and presents nationally on the following themes: bicultural pedagogy, decolonizing methodologies, cultural centers as pedagogical spaces, working across difference, fostering Latinx leadership and sense of belonging, pedagogy of solidarity, and critical bicultural pedagogy. Estrada is the author of Consuming ‘Dora the Explorer’ with a Critical Bicultural Lens (in Darder’s Culture & Power in the Classroom, 2012); Impacts of a Diné Decolonizing Pedagogy on Student Affairs Practitioners (in Davidson, C., & Waterman, S. (eds. ); Indigenous Education Practices in Higher Education); A series of reflections of Diné elder Larry Emerson and his Indigenizing Impact on our Participation in the Profession (in NASPA Journal). 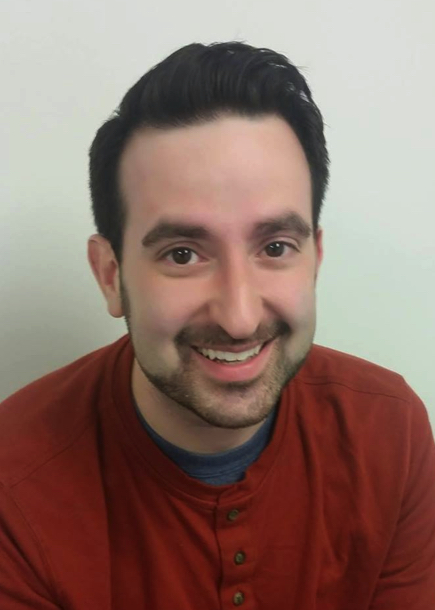 As a SAB member, Estrada hopes to impact UCSC in various levels. The nature of my work is people management. I don't have any true direct reports, but sometimes I feel like I have 100! It helps that I truly enjoy the population I serve. While on SAB, I hope to help move our campus forward regarding some of the resources and support that other UC campuses and similarly sized public institutions benefit from. After work, I love walking the beach and taking in breathtaking views during Golden Hour... I'll let you know when it gets old. I am a Banana Slug and a College 8 alumna. I have had an amazing opportunity to serve, work with, and learn from our brilliant UCSC students as the Director of the African American Resource & Cultural Center since 2013. I am fully committed to educational equity and access with an emphasis on students with minoritized identities. This work is fatiguing, never-ending, exciting, fulfilling, and a key to liberation. The joy from my role as a scholar- practitioner is most evident when I am able to experience and directly support the transformation resulting from a student's capacity to be resilient and persist towards their goals. My hobbies include dancing, riding roller coasters, and writing chapters for my dissertation [*cough cough*]! I am excited to serve in my first year with Staff Advisory Board to address a variety of concerns/challenges UCSC staff are experiencing as well as engage in critical conversations to build and sustain positive and productive morale. Let's go, team!